The Ink Business Preferred℠ Credit Card currently has the highest sign-up bonus of any Chase Ultimate Rewards card. You can earn 80,000 Chase Ultimate Rewards points after meeting minimum spending requirements. I’ve asked the Million Mile Secrets team how they’d use this fantastic bonus. Here’s team member Harlan! Harlan: I’d love to be able to get the Chase Ink Business Preferred card. But realistically, I’ll never fall below 5/24 to qualify for it. I earn Chase Ultimate Rewards points with my other Chase cards, including the Chase Sapphire Reserve and Chase Freedom. So I can imagine what I’d do with 80,000 valuable and flexible Chase Ultimate Rewards points! Maybe I’d Stay at the Gorgeous Hyatt Zilara Cancun Again With the Chase Ink Preferred’s 80,000 Point Sign-Up Bonus! I’ll share a few ways I’d use the Chase Ink Business Preferred sign-up bonus! Chase Ultimate Rewards doesn’t have as many transfer partners as AMEX Membership Rewards or Citi ThankYou. But I think they have the best transfer partners. I’ve gotten amazing value from British Airways, Flying Blue, and Hyatt. Although every travel partner presents a way to get Big Travel with Small Money. Here are a few of my favorite ways to redeem Chase Ultimate Rewards points. 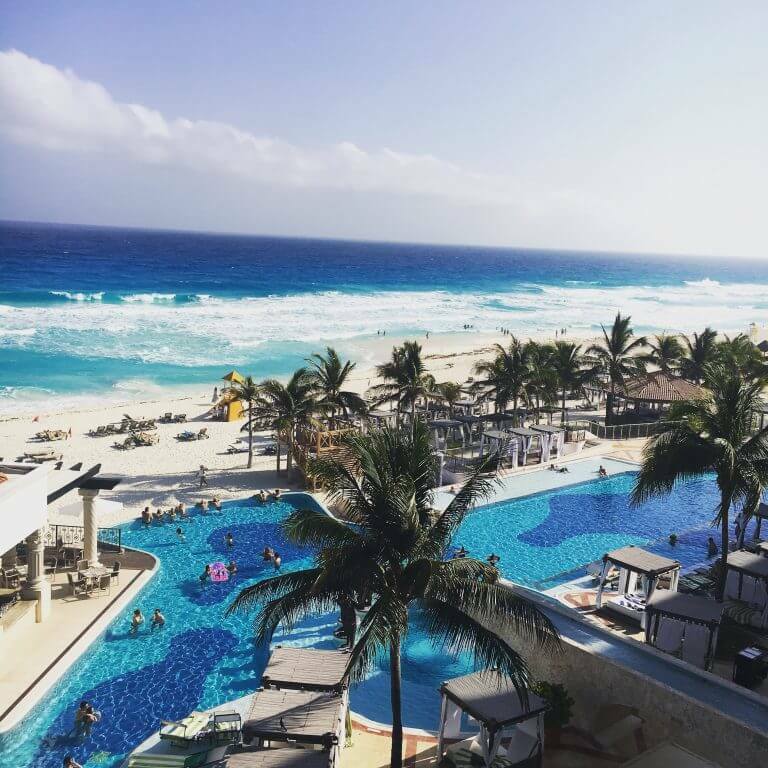 This January, I had 3 amazing free nights at the all-inclusive Hyatt Zilara Cancun. Top-shelf drinks, unlimited meals and snacks, and lots of activities are included in the room rate! Award nights here cost 25,000 Hyatt points per night. To book a room with points, you must call Hyatt at 800-228-3360. Considering rooms here can cost $700+, you could easily save over $2,000 by using 75,000 Chase Ultimate Rewards points for 3 free nights! And with the sign-up bonus from the Chase Ink Business Preferred, you’d have more than enough to cover the stay. I loved the beautiful rooms, pristine beaches, and attentive staff here. And would return in a heartbeat! Here’s a secret: you can still book short one-way flights under 651 miles outside the US for only 4,500 British Airways Avios points. This is one of my favorite ways to use Chase Ultimate Rewards points because it can add up to save you a LOT of money! 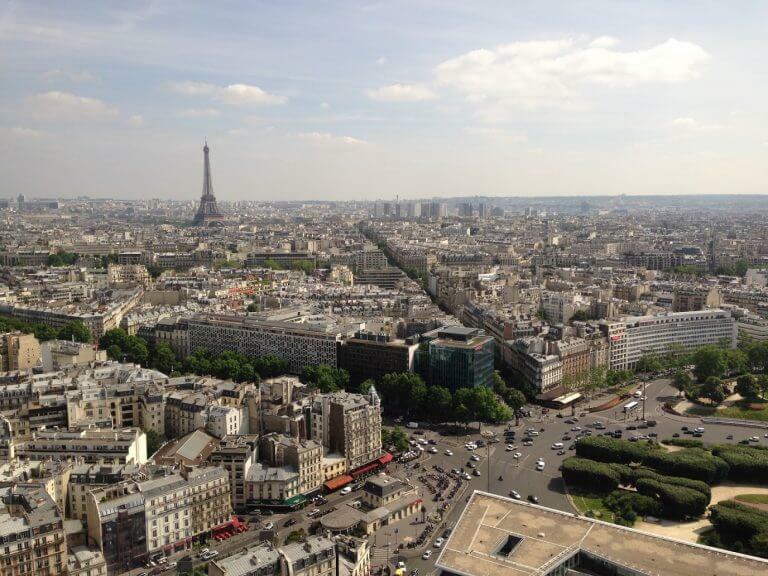 I Flew From London to Paris, and All Around Europe, for 4,500 British Airways Avios Points per Flight! Have Your Pick of Flights Between Melbourne and Sydney for 4,500 British Airways Avios Points and Easily Save $200+! 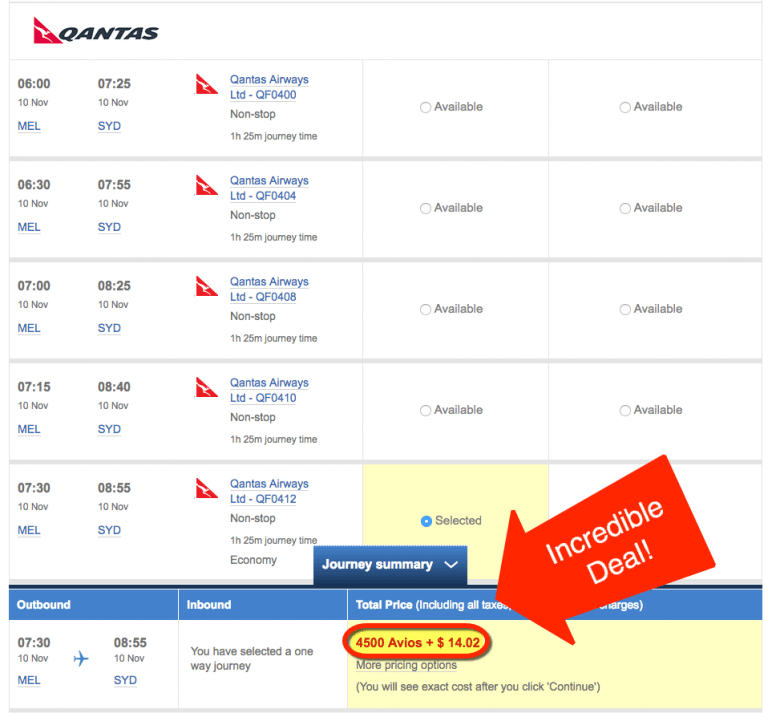 Sometimes these flights can cost hundreds of dollars! But I’ve been continually impressed how easy they are to book as award flights. Be sure to see if you can get a cheap fare on a budget airline first. For example, I flew from Paris to Madrid on EasyJet for only $64. Save your points for expensive flights! After you meet the minimum spending requirements on the Chase Ink Business Preferred, you’d have enough points for 18 short-haul flights around the world. That can unlock some serious global exploration! 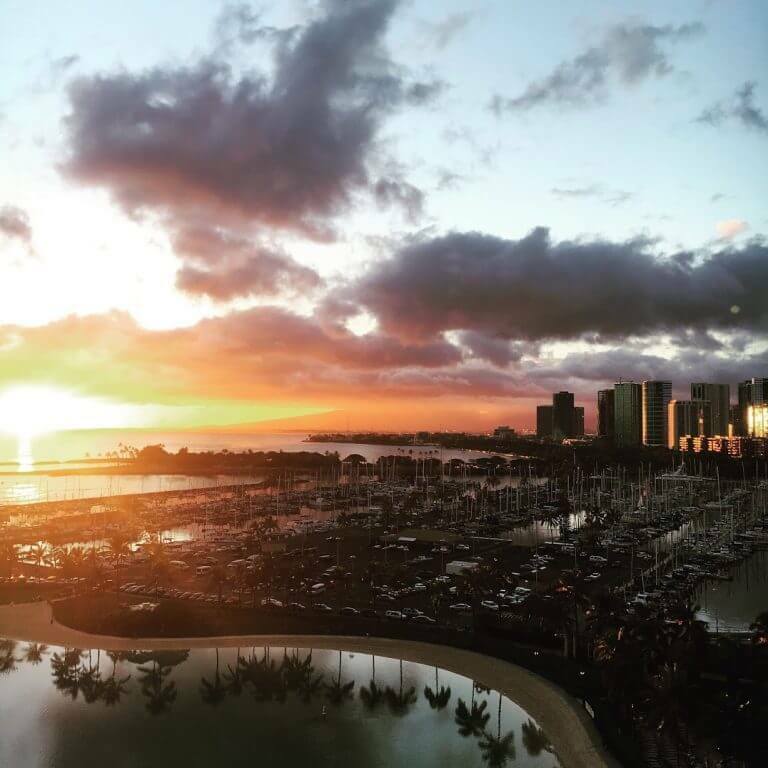 Last year, I flew with my family to Honolulu for an unforgettable vacation. It was the first time I traveled with my brother. I booked his ticket with Flying Blue miles. I Love Spending Time in Hawaii! You Can Fly There and Back in Coach for Only 30,000 Flying Blue Miles! 30,000 Flying Blue Miles and ~$6 Is a Great Deal for Flights That Cost Nearly $800! 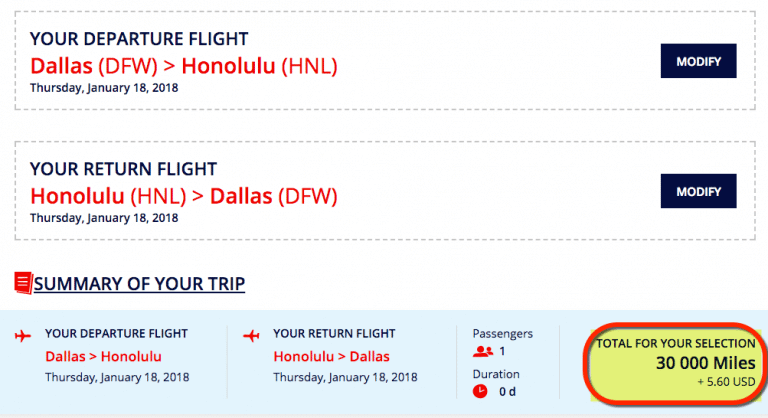 I found flights in January from Dallas to Honolulu for ~$764. And a night at the Hyatt Regency Waikiki Beach Resort and Spa in January costs ~$355 with taxes and fees. Two flights and a hotel night would cost ~$1,883 ($764 x 2 + $355). So the sign-up bonus on the Chase Ink Business Preferred can easily be worth nearly $2,000 (or more! ), depending how you use it. That can go a long way toward Big Travel with Small Money! 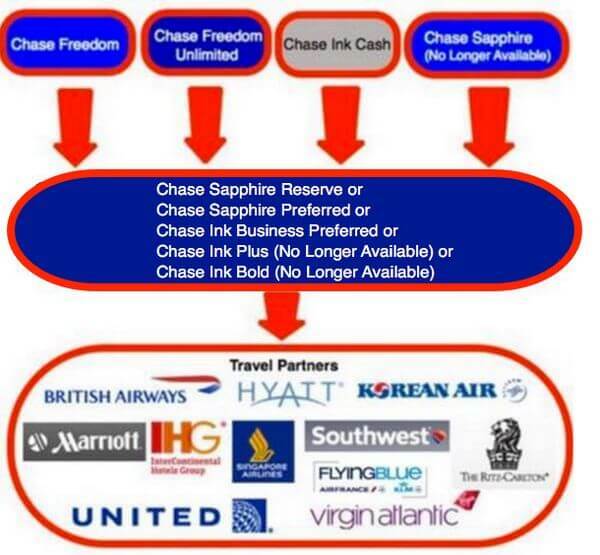 The Ink Business Preferred card is impacted by Chase’s tighter application rules. So if you’ve opened 5+ cards from any bank (NOT counting Chase business cards and these other business cards) in the past 24 months, it’s unlikely you’ll be approved for this card. With the Chase Ink Business Preferred, you can earn 80,000 Chase Ultimate Rewards points after you spend $5,000 on purchases in the first 3 months after opening your account. Team member Harlan will never be under the Chase 5/24 rule to open this card (and yes, he’s sad about it). But he loves using Chase Ultimate Rewards points because of the fantastic travel partners and how flexible they are! All of these options present savings of around $2,000. And, they’re very simple to find! In the end, the best award you can book is the one that makes you happy! How would you use 80,000 Chase Ultimate Rewards points? I read MMS all the time, learn a lot from you and use the knowledge. I’m kind of over the series on how (blank) would use this bonus. Might be only me. How can Harlan never be under the 5/24 rule? If he waits for 24 months before opening his next credit card he should be clear?